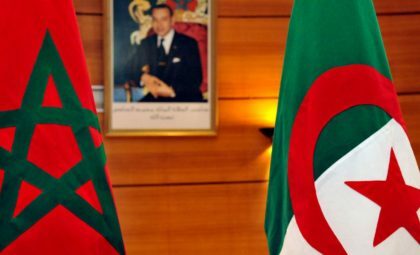 The recent call launched by King Mohammed VI to neighboring Algeria for dialogue is an offer to address the challenges facing the two countries and the entire Maghreb region. This is the substance of Washington’s response to the King’s proposal for a direct, open and frank dialogue with Algeria to dispel the transient and objective differences that are impeding the development of relations between the two neighboring countries. Improving relations between Algeria and Morocco would enable both countries to address common bilateral and regional issues, the State Department said. The US government has urged Algeria and Morocco to realize that improved relations between the two countries would help them to address common bilateral and regional issues such as terrorism, illegal immigration, drug trafficking and economic integration, said the State Department. The king’s proposal came in the speech marking the celebration by Morocco of the 43rd anniversary of the Green March on November 6. The Sovereign also suggested the setting up of a joint political mechanism for dialogue and consultation to break the stalemate in bilateral relations, and reiterated his commitment to work hand in hand with the Algerian brothers. The King’s proposal was met with praise from the international community, as a step mirroring the Kingdom’s good faith and determination to build a strong Maghreb Union.